So since there is going to be a tropical storm this weekend and our plans were cancelled, I decided I am going to write a short series about some backpacking trips that didn’t go as expected. There has been some VERY interesting mishaps I felt I’d share! I guess I should start with when I 1st tried to get into backpacking. I’m not sure where I first got the idea to go, but I remember becoming obsessed with it about 10 years ago around about the time I got into hiking – the idea that you could CARRY everything you need to survive a night in the woods was fascinating to me. I went from a kid who HATED hiking (I would complain and cry the ENTIRE TIME – why can’t I go home and read my book??) to an adult who couldn’t get enough of being outside. I have no idea what happened, but I took every chance I could to go exploring. I CLEARLY remember being a kid and my parents would take me out in my sweatpants with the elastic cuff at the bottom that were about 5″ too short, Keds canvas sneakers, and turtleneck – I would be sweltering to DEATH and they want me to hike up some dumb hill? For what? Hiking to me when I was a kid equaled guaranteed sunburn, bug bites, and poison ivy – and heaven forbid if you got all of these things at the same time – TORTURE!!! The ONLY thing I liked then about being outside was being able to see frogs. 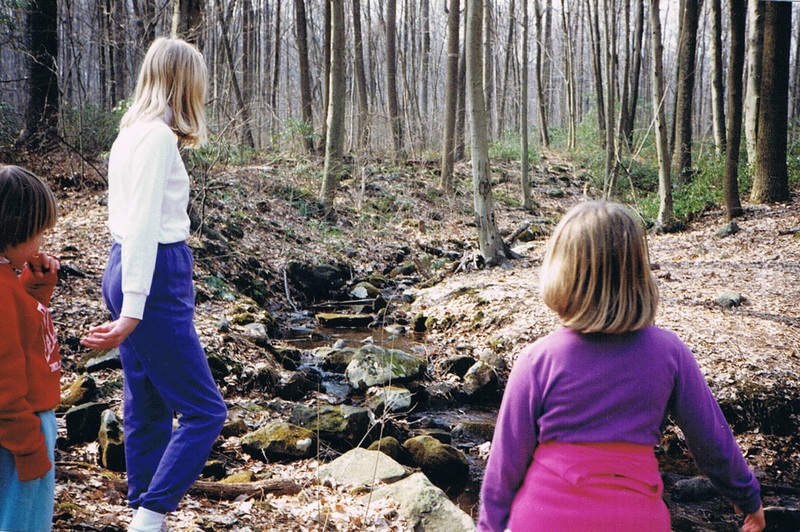 I remember standing by a tiny stream of water and seeing a few hopping around and my dad telling me that it’s rare to see frogs because of pollution and stuff – and this was in the 80s! When I got older and started actually liking the outdoors, I didn’t know anyone who was into backpacking so I didn’t have any resources to tell me about places like REI or EMS. The only outdoorsy store I knew about was LL BEAN – so naturally I bought all my gear there – HUGE MISTAKE! I ordered a tent, backpack, and hiking boots online and was so excited when it came in the mail!! Of course I wanted to go right away! I pulled out the tent – ‘Wow, this thing is HEAVY’ I thought, ‘People carry this….PLUS other stuff?’ The tent was a 2 person humongous 12 lb tent, but it truly was advertised as a backpacking tent online – I didn’t know back then to check the weight of things before I ordered them. After puzzling over the tent for a bit, I decided to check out the backpack – it was also not what I expected. There was a weird pocket in the front that was useless as it was the same size as the bag so there would be no way to put anything in it except perhaps a very flat map. 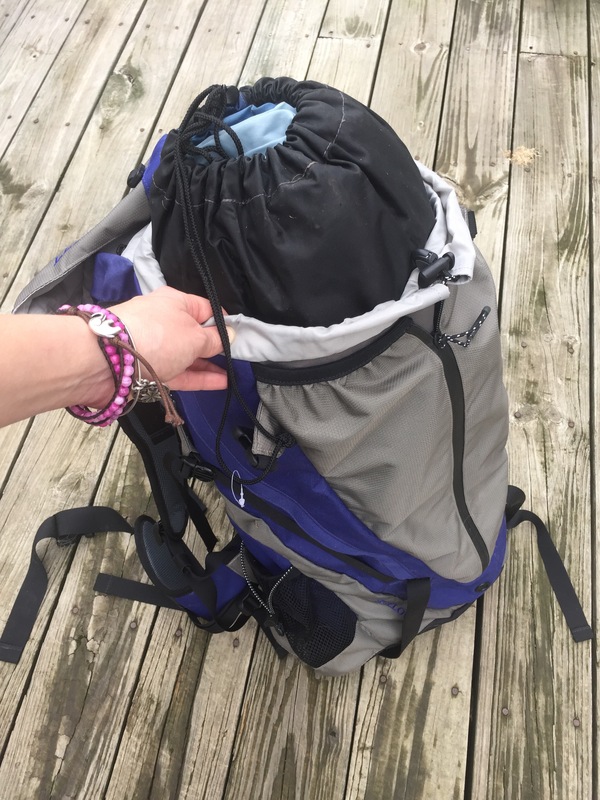 The diameter of the bag was small – I tried to put the tent in the bag and it stuck out of the the top by probably 2 feet and took up the entire volume of the bag. This was getting confusing – if your tent takes up your entire pack, where do you put extra clothes, food, sleeping bag, and various other items I knew you would need. I clearly was not doing something right! The hiking boots were not much better – I probably used them hundreds of times over a few years and they NEVER felt broken in. So I took to the internet as I had no one to ask. I Googled backpacking which is what I SHOULD have done in the 1st place, and what do ya know – there are OTHER outdoor companies?? REI, EMS, backcountry.com – I was in awe and overload at the same time! Don’t get me wrong, LL BEAN had some nice things, but I’d say more for car camping. I already spent a few hundred dollars on gear that wouldn’t work for backpacking so I was a little upset about that. At least now I had resources and info about the MANY types of gear to choose from. I kept my gear as I was convinced I was doing something wrong and when I realized it WAS in fact the gear, it was too late to return anything. I did end up using the tent on several car camping trips, so at least I got some use out of it! Lesson #1 Do some research before you start buying gear!! This is so important so you don’t waste your hard earned money like I did!! Lesson #2 Buy the lightest weight gear you can afford! No one on earth wants to lug around a 12 lb tent, plus all the rest of your gear – your morale will seriously plummet if your back and shoulders are aching from carrying a 50-60 lb pack. Believe me, my pack was 55 lbs on my 1st backpacking trip, but that’s another blunder that I will talk about in part 2!